The economy is doing better and that means that people are buying and selling homes. The inventory is at a low point, but that does not seem to be deterring people from buying. 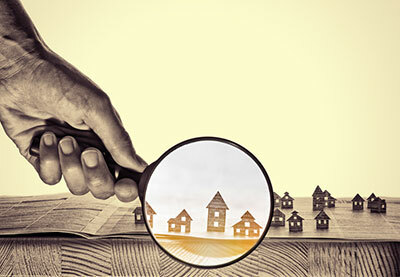 If you find yourself in a situation where you have listed your home for sale and have already purchased your new home, you may find that this balancing act is lasting longer than expected and the only way to stay afloat is to acquire a tenant. If you find yourself in this situation, you should speak to an attorney early on to make sure you understand the process and your rights and obligations as a landlord. You should have an attorney review your lease and make sure it is sufficient under the circumstances. You should also speak to the attorney about evictions and you should do this before you need to evict a tenant. No one likes evicting but the odds are very great that you will have to evict a tenant at some point. Many attorneys will do evictions for a flat fee and this usually includes preparing the 3-day notice. Sometimes attorneys will offer a discount if a landlord owns multiple properties (doing more than one eviction at a time is more efficient). The attorney will likely require the flat fee be paid up front along with all filing fees. The 3-day notice is a very important document and it has to be completed exactly according to the statute or the landlord may have to start the process all over and lose precious time (and time is money). When I am retained for an eviction, I like to prepare the three day notice for my clients so that I can be sure that it is done correctly. If you find yourself delaying hiring an attorney due to cost considerations, this is understandable; however, keep in mind that every day a non-paying tenant stays in your house, you are losing money. It is much more cost efficient to have the eviction done correctly so you can obtain a paying tenant. If you found this article helpful, please subscribe to my YouTube channel at www.youtube.com/tibbslawoffice and www.youtube.com/tibbslawofficeKentucky. You can also find additional information on the firm website: http://www.tibbslawoffice.com.